Pet animals and owners have a lot to share in common, from personalities to hobbies. In fact, these allow them to create a very special bond when they grow up together. 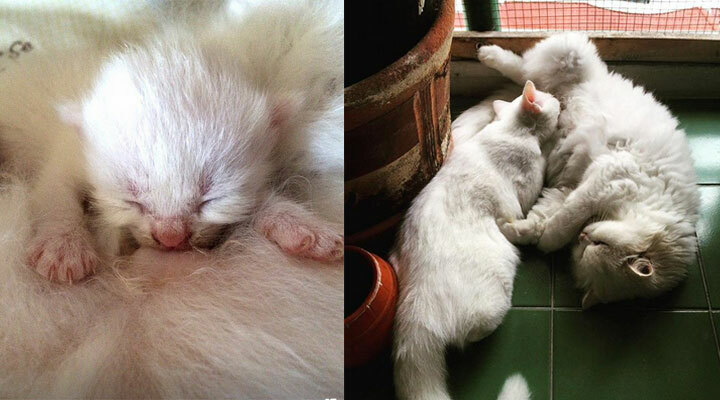 That is why this will showcase the before and after cat photos which grows older, gets bigger and fluffier. The short lifespans of most cats makes them grow out of their youthful forms relatively a lot quicker. In just for several months, your cute and tiny kitten that always trips over himself will be dashing your feet and legs with great enthusiasm. And whether you like it or not, these adorable kittens will be making their adolescent size and life. But, one thing is sweet, you know that when they grow out a lot adorable and fury, you know that you did a great job in taking care of them. It’s always a very appreciative moment when you see that everything went well while spending their lives with you.